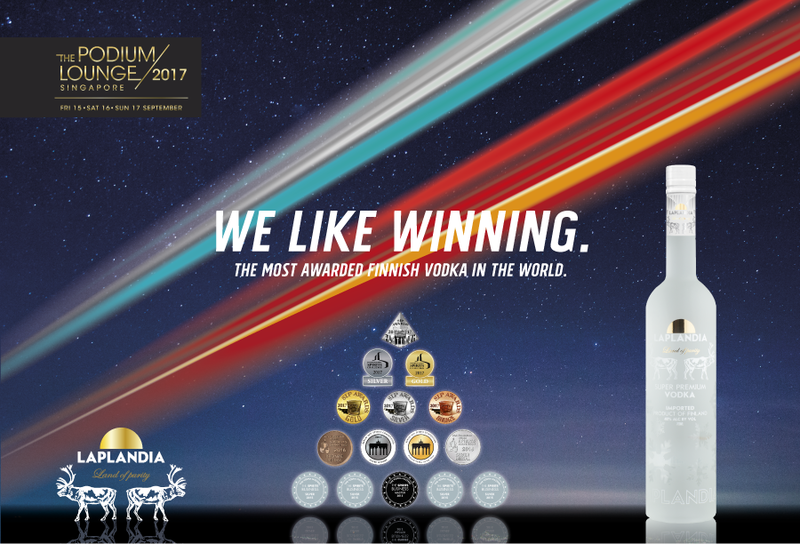 GP Management, the organiser of the key track-side VIP event The Podium Lounge, has chosen Laplandia to be the official pouring vodka for the event. The Podium Lounge is considered the official after party of the Singapore GP, featuring performances of Grammy Award winning artists as well as other international celebrity guests. In addition, Laplandia Vodka will be the official exclusive vodka sponsor of a special gala event held in honor of F1 legend Sir Jackie Stewart. The event will take place on Wednesday the 13th, before the GP weekend and will host all current F1 drivers as well as many other key figures or the F1 world. At the end of the event all guests will be offered a gift bag featuring Laplandia products and accessories. One of the most famous fine dining chains in the world, NOBU, has listed Laplandia Eclipse in their selection and as a base ingredient on several cocktails in their London Berkley Street restaurant. By the end of November, Eclipse is scheduled to be listed in all three of the chain’s London branches. In addition, Laplandia is planning to use NOBU as its official launching venue for the UK market in December. Shaman Spirits has been putting major effort in the domestic market this year, and to celebrate Finland’s 100th anniversary year, Laplandia is introducing 3 new products this month: The first and only Lingonberry, Bilberry and Cloudberry flavoured vodkas in the world that are made using real wild berries. Moreover, Laplandia Vodka and Laplandia Espresso are now part of Alko’s standard selection and can be found at almost every Alko shelf.